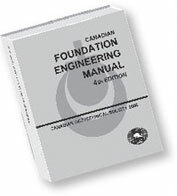 The Calendar of Events lists upcoming Canadian Geotechnical Society sponsored or co-sponsored events, and other geotechnically-related events in Canada, the USA and elsewhere. Use the selection boxes provided to search for events by Year, Geographic Location (as per CGS Section catchment areas), and Practice Area (as per CGS Technical Division geotechnical practice areas). Click here to have your event considered for posting on the Calendar of Events. While the CGS makes every effort to provide correct information in the Calendar of Events, the event website or contact associated with a listing should be relied on as the most up to date. 3.Promote communication related to the outstanding needs for decreasing risk from debris flows.